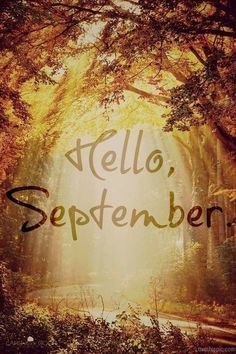 Losing Weight The Lazy Way: Hello September! Hello all! I have returned from a great holiday in Tunisia and feel super well rested. I also have shocking news, for the first time in my life I literally LOST weight on holiday. I only lost half a pound, but to put it in perspective, when I returned from holiday last October I had gained six pounds, so I am in utter disbelief. I am still feeling really motivated and have started my return to Weight Watchers today with a bang. I work in education so have a total "new term, new start" approach to everything right now and I really feel like this is going to be a good moth! On to continuing on with at least one blog project I start - monthly goals! I will review August's. General weight loss: to start September weighing no more than 3lbs more than I started AugustI am in fact starting September merely 1.8lbs heavier than I started August, so goal achieved. Food: Give up morning snackingI did actually follow this for pretty much all of August (with one or two slip-ups) but I have come to the overall conclusion that this was not in fact a particularly positive goal for me as it is never good for me to be particularly hungry, as then I just end up overeating. Throughout September I will be snacking once in the morning and twice in the afternoons as a general rule. Running: Complete a full 5k with no walk breaks. General health/well being: Drink two litres of water every day.I have improved on this front but I don't think I have achieved the goal really as I'm still hooked on Diet Coke and barely drank any water on holiday. Blogging: Write at least one blog every week, apart from when on holiday.Achieved! September GoalsGeneral Weight Loss: To lose 3lbs before the beginning of October.3lbs sounds a little low for a month but my ultimate yearly goal of 21lbs by the time I am 24 needs to be attacked very, very slowly I feel otherwise I am setting myself up for fail. I think it's a fair and reasonable target. I have no major reasons to go off plan this month and I am in a good place right now so I do not see any reason why I should not meet it. Food: Give up eating bread.This might seem a little bizarre but I randomly didn't eat wheat for like a week in mid-August and found myself feeling so much better about everything. I also have not eaten wheat for the past 2 days and also feel so great right now. Maybe I'm kidding myself but I possibly do have a mild wheat allergy I believe. I'm not a mentalist, I'm not going to go totally gluten free and give up pasta (my ultimate fave), or even pizza, but I'm not going to eat bread on it's own, or sandwiches, or as part of a burger bun or something, for a whole month. I'll see how it goes. I don't think it will be particularly hard as I don't eat a lot of bread anyway, and it might make a lot of difference. General fitness: Work out 3 times a week (Pass on this given if GENUINELY ill)I have a cold at the moment hence the conditional factor...but I really need to get back on this as my exercise has slipped dramatically recently. Running: Run a full 5k with no walk breaks.Same as last month. I imagine my 3 weeks off running have dented my ability quite a bit so I don't have too lofty dreams for my September running. General health/well being: Go to bed early enough to get a MINIMUM of 7 hours sleep every night. Aim for 8 hours.I feel so much better when well rested and I actually haven't even drank coffee in weeks so I am going to try and carry on with this. Blogging: Blog a recipe. I've wanted to do this for ages but find it difficult to find the motivation to take photos etc, but I need to share one particular amazing dish with the world so I am going to get on it.